For nearly 100 years this form of ammonium chloride has been used to promote rapid tinning of soldering irons tips. Only when using well-maintained soldering irons will the solder being used, flow off the tip to properly fill sheet metal seams. 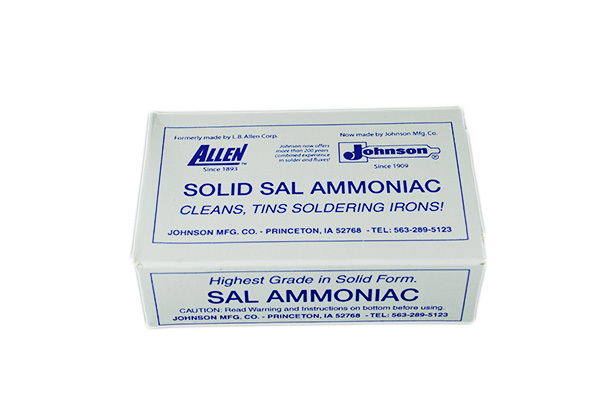 Pure, solid, long-lasting Sal-Ammoniac is ideal for fast cleaning and tinning of soldering tips. Sal Ammoniac is a substance used to clean corrosion from the oxidized tip of a soldering iron.